Dental Care Woodbury: Do You Have The Beginning Signs Of Gum Disease? While it may not be something that is talked about very often, gum disease is actually something that is extremely prevalent in today’s world. Due to the fact that gum disease can vary in stages, it can be pretty difficult to determine what the symptoms of gum disease are by themselves. While you may be great about brushing and flossing as you should, having a routine teeth cleaning is imperative if you want to ensure that you are not at risk of gum disease. In this post we will talk more about what gum disease is and how you can prevent it. If you want to know if you are experiencing symptoms of gum disease, you first need to know what it is ad how it affects the overall health of your teeth. Also known as periodontal disease, gum disease is an inflammation which occurs around the gum line. Your gum line is where the roots of your teeth reside, which is why it is important to take good care of your gums. When gum disease progresses, it can eventually affect the bone that is surrounding and supporting your teeth. When you don’t have healthy gums, you can experience major issues with the bone structure that keeps your teeth where they currently are. This can eventually lead to your teeth falling out. 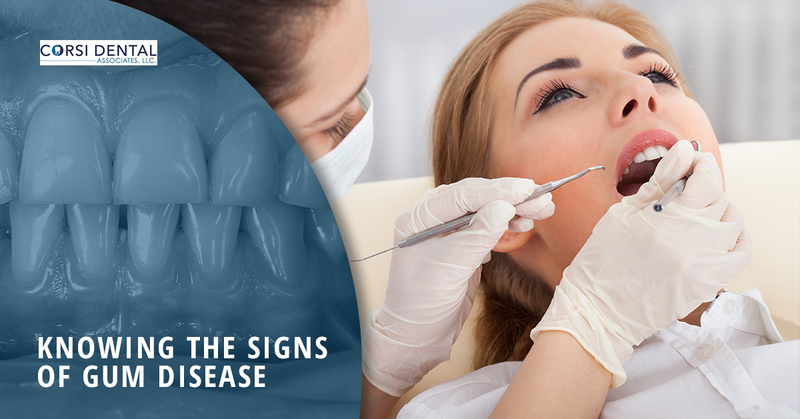 The earliest sign of gum disease is fairly common. Gingivitis occurs when there is plaque build up at the gumline. This occurs because of poor oral hygiene habits. When someone does not brush and floss as they should, the plaque build up will produce toxins that will irritate your gums. This leads to the development of gingivitis. If you find that your gums bleed when you brush or floss, you may be experiencing the early signs of gingivitis. The next stage of gum disease is periodontitis. This means that the supporting tissue, fibers and bones that work to hold your teeth are irreversible damaged. You may also find that pockets are forming at the gumline, which can make it harder to keep debris and germs from remaining in your mouth. When people have periodontitis, they have to increase their oral care at home and go to the dentist more frequently to prevent the condition from getting worse. This is the most damaging state of gum disease and it is very serious. At this point, the damage has been done and teeth can begin to shift and loosen. You may even have to have teeth removed because you are no longer able to eat or speak in the same manner in which you have always been able to. Ready to combat gum disease? As you can tell, gum disease is actually an extremely serious matter. Proper oral care could mean the difference between you having a smile and not. If you don’t want to put yourself and your teeth at risk of gum disease, it’s time to schedule an appointment with your Woodbury dentist. We can give you a thorough teeth cleaning and send you home with tips to help you to prevent gum disease moving forward. 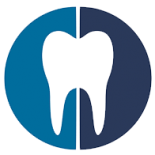 Contact Corsi Dental Associates today!